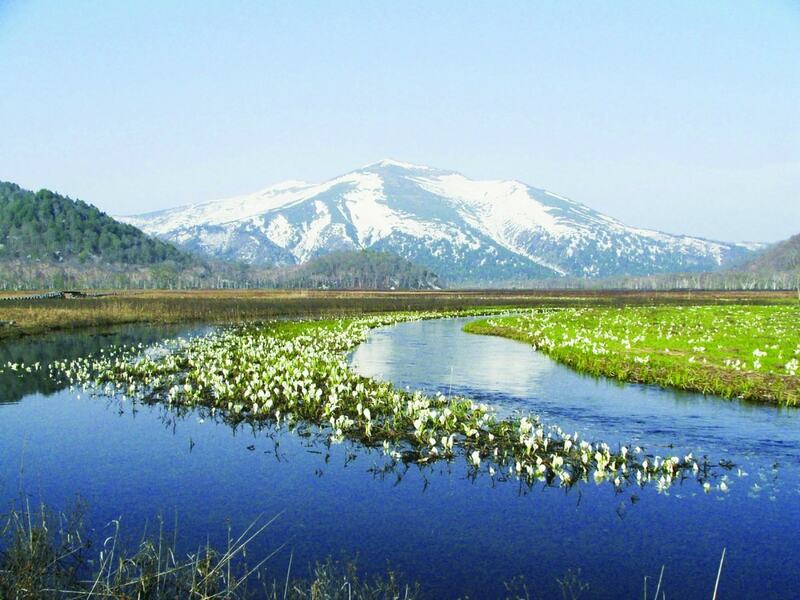 Registered on the Ramsar List, this is the most famous wetland in Japan, and a prime spot for hiking. Access: 120 min. by bus from JR Jomo Kogen Station. Featuring diverse colors of lilies, this flower garden is seasonally converted from a ski slope. Access: 60 min. by bus from JR Numata Station. All visitors, from beginners to advanced climbers, can enjoy hiking this mountain, home of Ichinokurasawa, one of the Three Great Rock Walls of Japan. Access: 45 min. by bus from JR Jomo Kogen Station. About 50,000 lavender plants grow all around at this seasonal attraction. About 300 women impressively carry portable shrines at this festival. Access: 15 min. walk from JR Numata Station. This celebrated hot spring is traditionally known for its legendary medicinal properties, said to heal 40,000 types of illness. Access: 40 min. by bus from JR Nakanojo Station. Go canoeing on the vivid blue waters of Lake Shima, located near Shima Onsen. Access: 15 min. by bus from JR Nakanojo Station. Every year on this hill, an event is held where people scream their words of love in the middle of the cabbage fields. Access: 25 min. by taxi from JR Manza Kazawaguchi Station. Megane Bashi (Eyeglasses Bridge) is the largest brick arched bridge in Japan. Visitors can stroll across its promenade. Access: 15 min. by taxi from JR Yokokawa Station. Experience summer festivals where participants dance to Yagi Bushi, a representative folk song of Gunma prefecture. Access: Around JR Kiryu Station. Visitors can experience water sports such as rafting and canyoning in places near hot spring resorts. Access: Various locations in Gunma. Ibaraki, Tochigi and Gunma Prefectures are located in the northern part of the Kanto region. In addition to boasting easy access from Tokyo, these prefectures are known as popular tourist destinations, blessed with nature, hot springs and historical culture. Discover the wonder or three prefectures in North Kanto!